An inductive sensing device located in the nose of the M100 enclosure will detect a metal target. 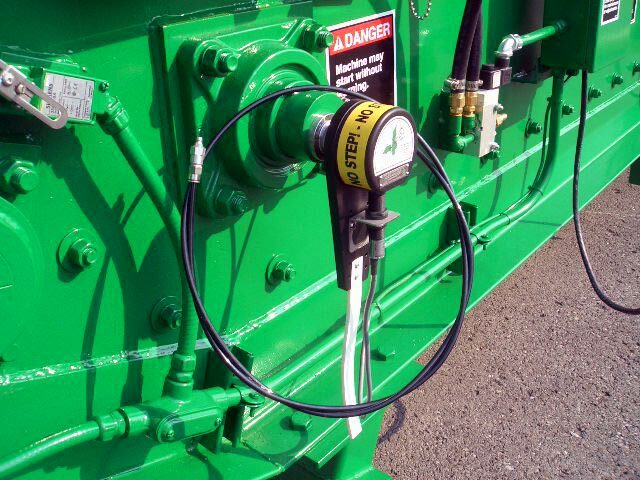 This target can be an existing bolt head or device attached to a shaft. 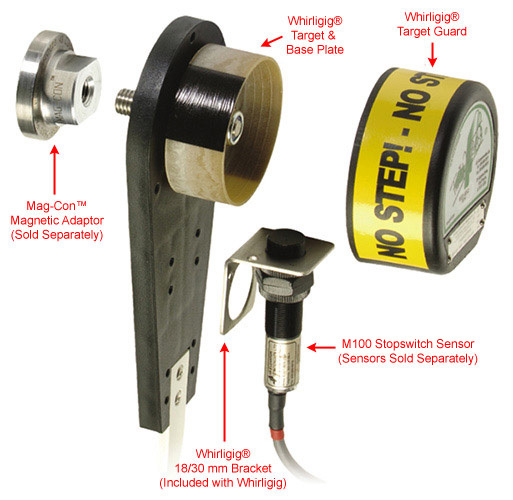 The M100 Stopswitch requires no calibration and provides an output when the shaft has stopped rotating. • Switching Capacity - 200 mA Max. 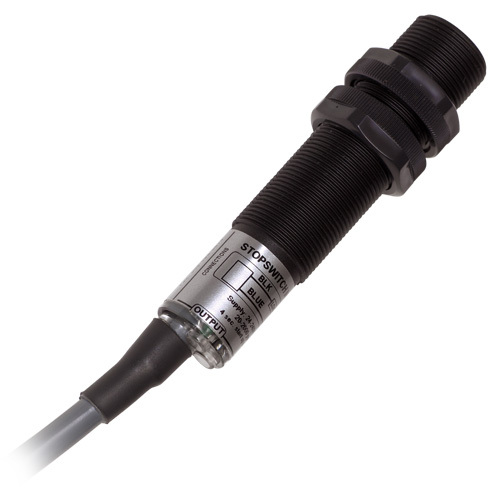 • LED Indicator - RED "Target Sensed" / GREEN "Closed Circuit"
The A12NPT conduit adapter is used to connect the metric threaded body of the sensor to 1/2 inch NPT conduit. The CDL1 and CDL4 devices add additional loads to PLC inputs. The CDL1 is for 110 VAC powered inputs, while the CDL4 (not pictured) is designed for 24 VDC (NPN and PNP type) low power inputs. Both devices can be used with the 2 wire M100 Stopswitch. and draws less than 200 mA. or not. Why is the sensor not changing states?